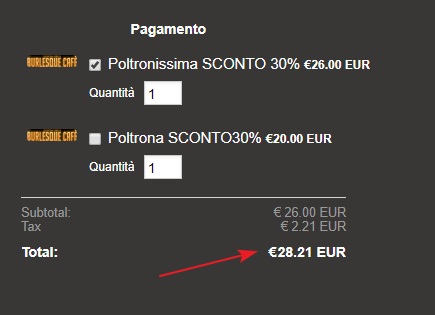 Ho agginto una tassa del 5% sui miei prodotti ma non calcola le tasse come e' dovuto. Non capisco perche su 20 euro mi da' solo 1 euro di tasse. As I check your form on the web page, I see that the base tax rate is set to 8.5. 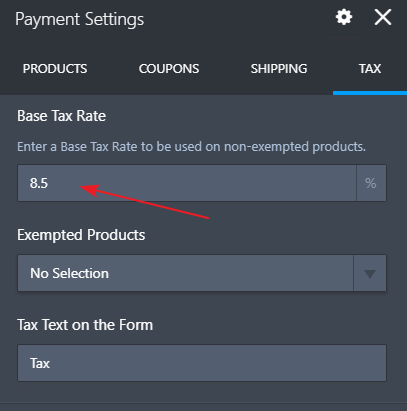 When a product is selected on the form, it is calculating the tax correctly. Were you able to fix the issue on the form? If you are referring to a different form or something different, please let us know. We will be happy to take a look again.